The pace of world cloud computing is continuing to grow exponentially. 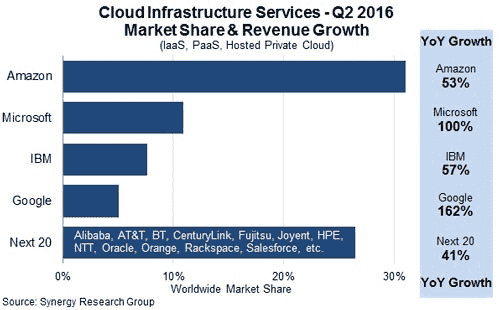 While Amazon yet holds the lion’s share of cloud services, google’s cloud platform has been developing at the quickest pace. In this introductory overview, we’ll first look at what makes the google cloud platform distinctive; provide you with a list of its components, solutions, and capabilities; and finish up by talk about pricing. Much of the year-over-year growth that the Google Cloud Platform has seen can be attributed to developers and IT directors placing their money on Google’s Compute Engine, Google App Engine, and Google Containers. Some have gone so far as to say that the cost of maintaining your own Docker foundation is just too costly, and that the only viable container solution in production at the moment is Google Containers. Regardless of your company’s direction, it’s a good idea to take a look at different cloud solutions to keep abreast of potential savings and how you might streamline your systems and processes. What we find compelling about the Google Cloud Platform is that the simplicity, security, and power—what we’ve come to expect from Google—is available for us to launch any number of instances, apps, or systems based on a trusted and well-known brand. And while working with the Google Cloud Platform, we’ve come to appreciate GCP’s sheer scale of integrated solutions that spans from Google Drive to AdWords to Launchers. Coupled with competitive pricing, Persistent Disks, and Global Cross-Region images, Google Cloud Platform has the ability to solve many problems. Below we’ll present an overview of all the Google Cloud Platform components, providing you with a focused list of links to click if you want to learn more. Infrastructure – The Google Cloud Platform provides the capacity of Google’s global fabric at your fingertips with the following features: Instance Live Migrations, Billing Per-Minute, Custom Machine Types, Archive Restore/Storage Near-Line, Global Load Balancers, Faster Boot Times, Faster IOPS, Google-Grade Security, and Global Data Centers. Data and Analytics – Big data requires big queries, and Google provides the capacity to search quickly with these features: Google Big Query, Google Cloud Datalab, Google Cloud DataProc, Google Cloud Dataflow, Google Cloud Pub/Sub, and Google Cloud Machine Learning. No-Ops operations – With the Google Cloud Platform, developers can devote their time to coding, without having to configure infrastructure with the following features: Google App Engine, Google Container Engine, and the Firebase Mobile Platform. 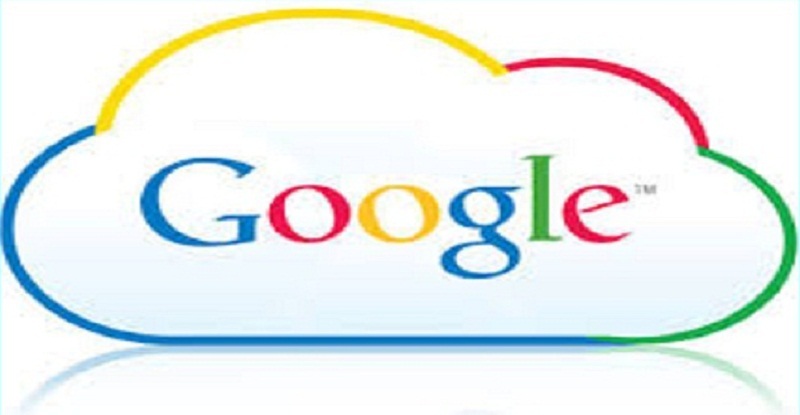 For a complete list of products, take a look at the Google Cloud Platform product list. Google provides a number of pre-packaged “solutions” that are architected around themes and can provide you relevant information, guides, help, and tutorials for building or migrating your business to the Google Cloud Platform: Media, Mobile Applications, Big Data, Financial Services, Gaming, Retail and Commerce, Internet of Things, Websites and Web Apps, and Development and Testing. The GCP Launcher is a nice way to build common software titles in the cloud, such as WordPress. Launchers take the complexity out of building VM instances, storage, network settings, security, patching, and all the other components needed to run a scalable and secure product or website. The most popular Launchers currently available are: WordPress, LAMP Stack, MongoDB, Cassandra, Redis, Kafka, PostgreSQL, MySQL, DataStax Enterprise, RabbitMQ, Spinnaker, Tomcat, Apache Solr, WP Multisite, Drupal, Joomla!, TYPO3, Odoo, OpenERP, SuiteCRM, EspoCRM, Redmine, Zend Server, Jenkins, and GitLab. Take a look at the growing list of all 52 solutions, which includes titles such as Moodle and Simple Invoices. Google claims to have proof that they provide pricing that is up to 50% less than their competitors. Based on per-minute billing and a (reverse) Moore’s Law pricing philosophy, Google aspires to be a true replacement for on-premises hosting. Google wants to provide as simple a billing experience as possible and remove the need to plan ahead and calculate costs. They provide a number of tools to clarify their costs and benefits: Pricing Calculator, TCO Comparison with AWS Pricing Calculator, Nearline Storage Calculator, Help and Support Package Pricing, Education Grants, and a Start-up Program. Of course, Google provides a free trial that offers access to all Cloud Platform Products, as well as $300 free credit. A credit card is required to sign up, but there is no auto-charge after the trial ends. We hope the information contained in this article provides a good, quick resource about the state of the Google Cloud Platform and everything that Google has to offer with their cloud solution. Ultimately, only by using and testing the platform will you gain a complete understanding of what it can do for you and whether or not the Google Cloud Platform will meet your off-premises computing goals.